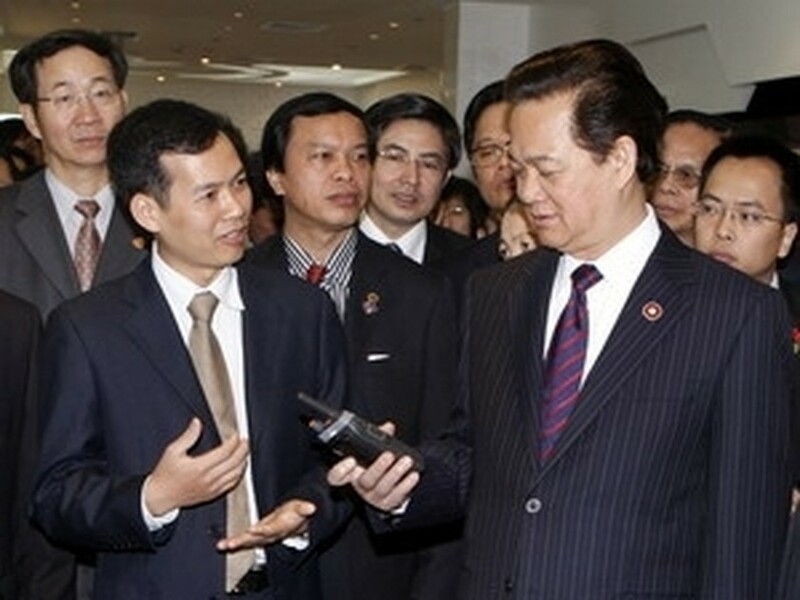 PM Dung’s visit to Shanghai city and Jiangsu and Zhejiang provinces which ended on May 1 has created cooperation opportunities for enterprises of both countries, promoting Vietnam’s image and calling for investment into Vietnam. PM Dung’s meeting with Chinese Party General Secretary and State President Hu Jintao reiterated that as two close neighbors, the ever-growing friendship between the two countries over the last 60 years is in compliance with two people’s interest and aspirations. The two sides agreed they should continue to apply practical measures to further boost bilateral cooperation, under which, Vietnam and China will maintain and increase high-ranking visits and meeting as well as expanding exchanges between ministries, branches and localities of both countries. They also agreed to boost the efficiency of cooperation in all fields and maintain the pace of trade growth, striving to obtain a two-way trade turnover of USD25 billion this year. The Vietnamese PM visit to one of China’s largest economic zones has also helped create cooperation opportunities for businesses of both sides, resulting in the signing of investment, trade and tourism deals were between Vietnam and these localities. Before leaving Shanghai for Vietnam, PM Dung visited Shanghai R&D Center of Zhongxing group, telecom equipment provider and Shanghai Electric Corporation.